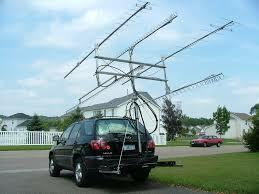 The ARRL January VHF/UHF contest is this weekend. If you haven't tried this contest you should. Maybe you can hook up with the rovers working in WNY! ...........also don't forget this is also Winter Field Day weekend as well. 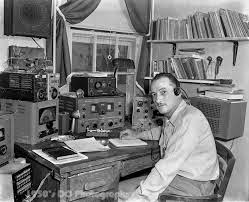 The January VHF/UHF contest starts on January 30th at 2pm and runs through Sunday January 31st at 11pm. 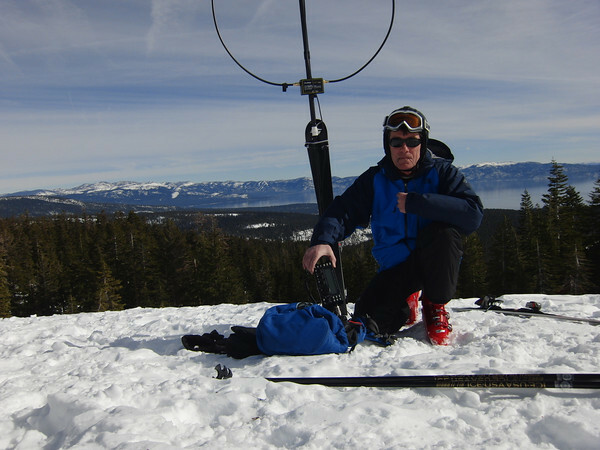 The purpose of the contest is to contact as many amateurs as possible on as many VHF/UHF and microwave bands as you can, using FM simplex (no repeaters), or narrow-band operating modes (SSB/CW). Two stations only need to exchange call signs and grid squares (see the map below). Please see the link below for directions! Each year the AWA traditionally hosts its Spring Meet in Bloomfield, New York on the first Saturday of the month of May. For 2016, the Spring Meeting is Saturday, May 7th. This year as last, the event has been expanded. As part of this year’s AWA Spring Meet, the AWA will hold a very special, a very BIG auction of duplicate items from the Museum’s collection. The BIG auction will be held in the afternoon at Rhonda’s Auction House just down the street from the Spring Meet and the Museum. Don’t miss this very special, very BIG auction. A partial list of items to be auctioned will be posted on the AWA web site as they are set aside for the auction. Kevin; KD2SL is doing some upgrades to the KD2SL linked repeaters in Syracuse. There are many recent adjustments and other improvements planned for 2016 but an important one is the repair of the link radio capability. The new link radio is here, and fully paid for by local hams! In case I can’t make it to the nets this week, please mention that thanks to the generosity of local hams, the link radio has been replaced, and will be on the air in a few weeks. Onondaga County ARES / Skywarn now has a Facebook page (ONONDAGA COUNTY ARES SKYWARN) that will soon provide contact information, training dates and other information to support our public service here in Onondaga County. KC2QXG Shawn - ONONDAGA COUNTY ARES SKYWARN COORDINATOR. For 2016, the dates are January 30 and 31, 2016. 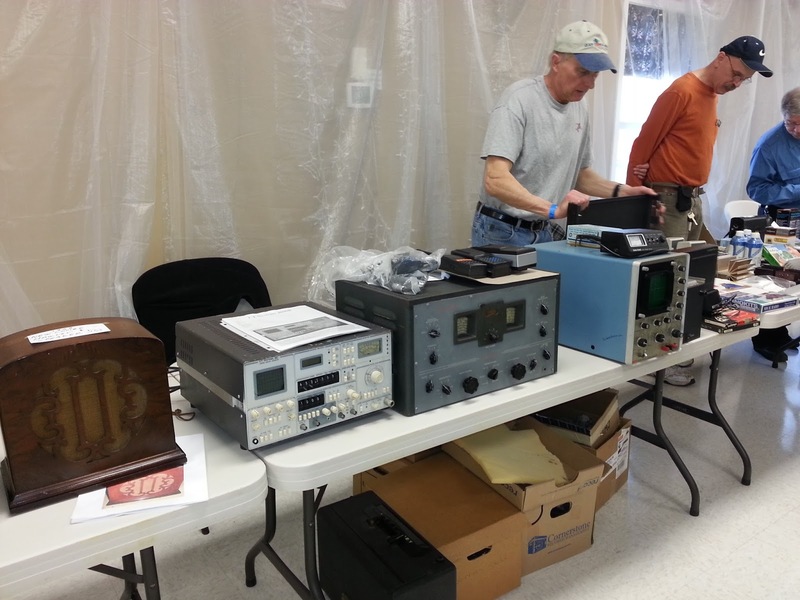 Station set up may begin no earlier than 1300 UTC (8:00 AM EST) on January 30, 2016. Center, corner of Peck and Brink St, Marathon NY. Talk-in on the 147.180 Cortland Repeater + offset 71.9 PL Admission is $5.00 per person. Sorry, VE testing will not be available this year. Reserve your tables now, as they are subject to selling out. To reserve tables or for information contact Pat KC2BQZ at pdunn5@gmail.com or 315-456-8955. For your Garmin or Tomtom: use the address 7 Peck St. Marathon, NY. It will get you close. The Civic Center building has no posted street address. Turn right at the first traffic light on to route 221 west. Turn left on to Peck St. It will be just before a girder bridge, and just after the elementary school. Continue straight in to the parking lot behind the brown sugar shack. Please leave the parking spaces across from the building for handicap. Continue straight at the traffic light on to route 221 west. ..............Thanks to Andy; KB2LUV for sending that on to us! Happy New Year to all our UpstateHam.com readers! We want to take a moment to thank all our supporters who submit news items and suggestions that help us keep this blog interesting and informative. We want to also thank the many volunteer efforts of individuals, clubs, groups and associations that provide the structure to support our great Amateur Radio community. A special thanks to the repeater owners, trustees, and businesses that support the wide variety of Amateur Radio infrastructure we all use everyday. This is such a great hobby because all of the people who put in the time, effort and expense to support and advance the hobby. In this new year think about trying something new. Why not learn a new skill or research a new aspect of the Amateur Radio hobby. Try a new piece of software, a new digital mode, or learn CW. Have you looked into SDR or tuned around the Shortwave bands? There are many interesting aspects of this hobby, so take some time this year to learn something new. ........and maybe you can answer a question, share a tip or trick, mentor a new Ham, help the repeater guys, or just participate in a NET, come on out and get more involved with this great hobby! 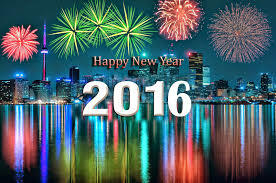 Wishing you all health and happiness in 2016!